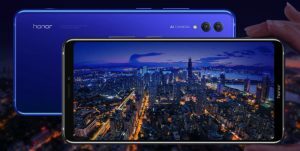 The newly unveiled Honor Note 10 boasts a 6.95-inch AMOLED screen, making it substantially larger than the top smartphones on the market today. The iPhone X, for instance, comes with a 5.8-inch screen. The Galaxy Note 8, which has a stylus and is designed to be a leader in the phablet market, only comes with a 6.3-inch screen.